PROBABLY THE MOST SOPHISTICATED & COMPLETE SMALL FAMILY CAR THE VW GOLF SETS THE BENCH MARK FOR ALL OTHERS TO FOLLOW. THE LOOKS ARE SMART & DESIRABLE THANKS TO ITS CRISP LINES & SHARP DETAILS. ON THE INSIDE THE QUALITY OF MATERIALS & BUILD QUALITY ARE A CUT ABOVE THE REST. THE DRIVING POSITION HAS BAGS OF ADJUSTMENT & ALL ROUND VISIBILITY IS CRYSTAL CLEAR. THIS 1 OWNER VEHICLE WE HAVE ON SALE IS IN SUPERB CONDITION INSIDE & OUT AND HAS A NUMBER OF FEATURES INCLUDING CRUISE CONTROL, AIR CONDITIONING, AUTOMATIC LIGHTS, RAIN SENSING WIPERS & RADIO/CD TO NAME A FEW. 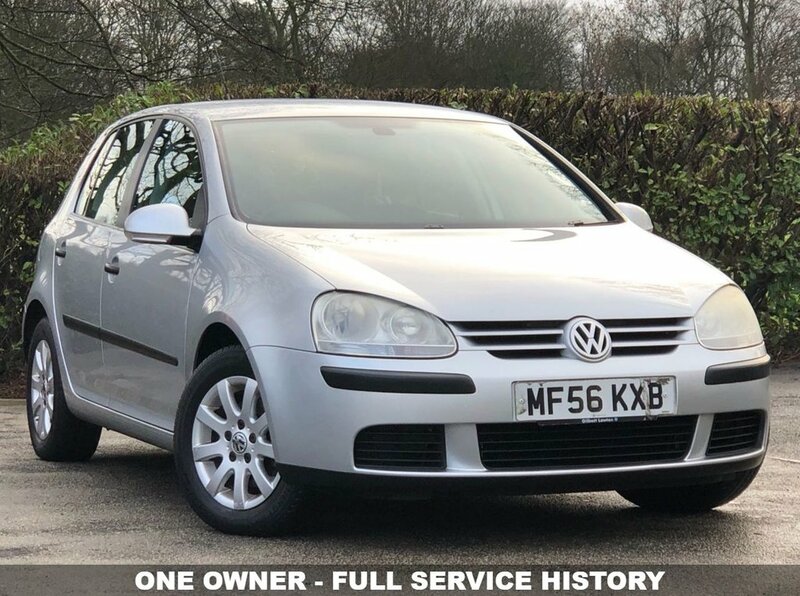 A LOW MILEAGE VEHICLE THIS CAR HAS A FULL SERVICE HISTORY CONSISTING OF 10 SERVICE STAMPS THE LAST DONE AT 57880 MILES. 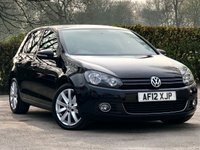 FITTED WITH THE TRIED AND TESTED 1.6 FSI ENGINE WHICH HAS PROVEN RELIABILITY, THIS CAR PRODUCES JUST OVER 115 BHP BUT ACHIEVES AN IMPRESSIVE 51.4 MPG PLUS IT HAS THE ADVANTAGE OF BEING CHAIN DRIVEN ELIMINATING EXPENSIVE CAMBELT AND WATER PUMP REPLACEMENTS. A FULL MOT + SERVICE + WARRANTY + 1 YEAR AA ROADSIDE.